I have always wanted to write. As a teenager people would tell me my writing style was great, but I never had anything to write about. I’m not one of those people who have fictional characters or worlds formed in my head just waiting to escape onto paper. Then I started reading blogs. Wow! I could have one of these for myself and just write about whatever. And now that I’m a mom, real world experience gives me topics and ideas like crazy! 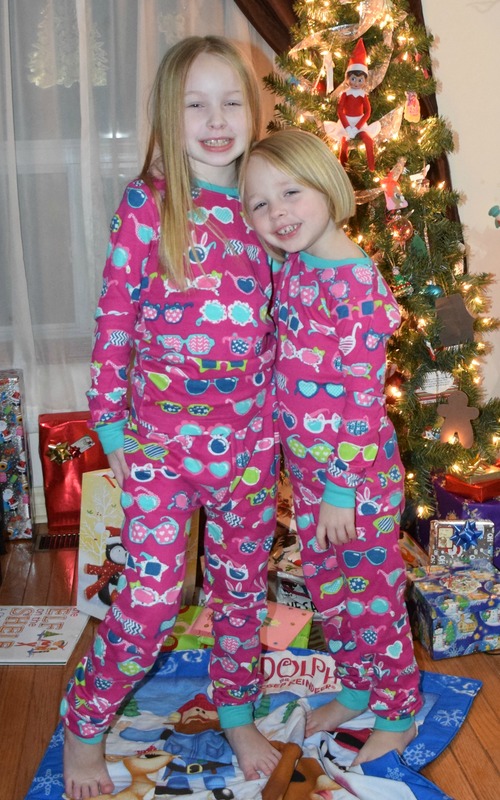 My girls were born in 2008 and 2011 so I’ll have lots of “growing up” thoughts to write about. Top that off with my sudden desire to get into acting, and suddenly I feel like I have enough material to carve myself a space in the blog-o-sphere. So here it is – my blog! I’m a writer now! My focus is mainly on my family life: Surviving as a Working Mom; Random Mom Thoughts I deal with on a day to day basis; What we’re enjoying around town; My escapades and auditions in the acting world; and some reviews of books or products that fit into our lifestyle. I take an Adult Ballet class every Monday night at Kingston School of Dance. My daughters are also enrolled there and we all love it! I’m a working mom. I’m a pharmacy assistant at Quarry Medical Pharmacy in downtown Kingston, Ontario. I’ve been there for 17 years! I also write for a local online media platform. Kingstonist is the only locally owned media in the city and I’m happy to be a part of it. I write about local events and family friendly things to do around town. I’ve recently jumped into the world of acting myself while hunting up roles for Emma. I’ve appeared in a public service video produced by Curious You Productions, and I was a featured extra in a film by Slinger Pictures. Most recently I was paid (!!) to be a background actor in an upcoming miniseries based on Margaret Atwood’s book Alias Grace. I’m a photographer, although I’m still perfecting my craft. My photos are improving, and I’m trying hard to make more time to practice! You can hire me to take photos of your everyday events and life. Visit my photography page to read more on that. Jump over to my contact page if you’d like to send me an email – I try to respond quickly. I am on the lookout for more acting opportunities as well as blogging collaborations. I’m open to working with brands, other bloggers, local attractions or events, anything that is family friendly or I can put a Mom-spin on. I also review books and products and I’m open to any pitches, so visit my work with me page and we can create something together! Looks great! Feel like I know you! Thanks for sharing! I need to put more in my “about me” section! Thank you for taking the time to read and comment. I’m glad to hear the page reads alright. I’m sure you about page could easily be improved with a little more detail. Best of luck! I am a coffee loving, wine drinking mom of two girlies too! Only mine are younger. Nice to meet you Jessica – enjoying your blog a lot. Thanks so much Nat! If you would like to subscribe you can get all my posts delivered right to your inbox. If not, I share them all across my social media so be sure to follow me there!